If you could remember that Google used to have a side bar at the left side of the search results. This side bar had few filters to narrow the search results. But it was removed few months back in a update. If you are using Google Chrome, it will not directly install third party scripts and will download a js file on the system. Now you need to install in manually. Go to Setting and then extension. Drag and Drop this script on the extensions page and install the script on the chrome. If you are using FireFox, you can install the script by using Greasemonkey browser extension. 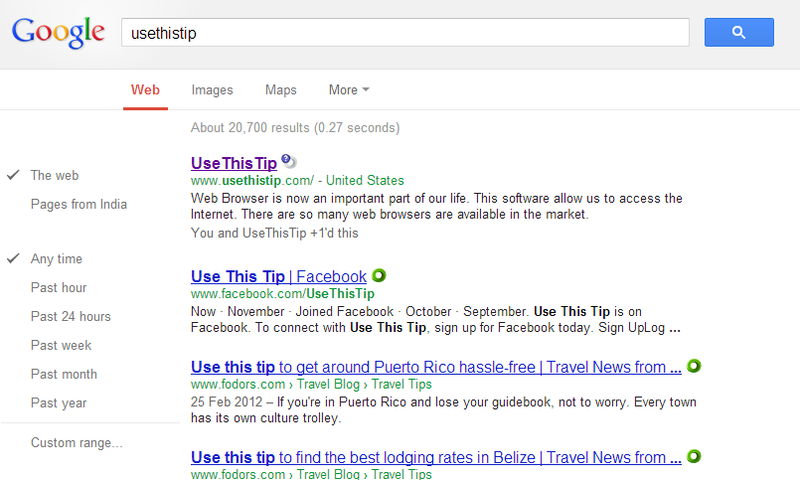 After installation of this script, you will see the side bar again on the Google Search page. To get back the new Google Search look, uninstall this script from the browser. Let us know your views about this userscript. Do you have any problem in implementing this script? Ask us on UseThisTip Community.